Overall this trail network is not epic but is fun and convenient. For the amount of woods in Windham there aren't a lot of MTB trails,so I was glad to find these. Mostly they are hiking trails (double track) and snow mobile trails (fire road) but there is definitely some single track too. These trails don't appear to be maintained by bikers so some of the single track is kind of overgrown. Like I said not epic but decent and the only MTB trails I've found this far out. I think if more of us ride these then they'll get really good. Review: Disclaimer: I posted this trail. But It's a fun trail and a nice place that is closer to Windham/Standish/Gorham.Some of the snowmobile trails could be great with some maintenance. 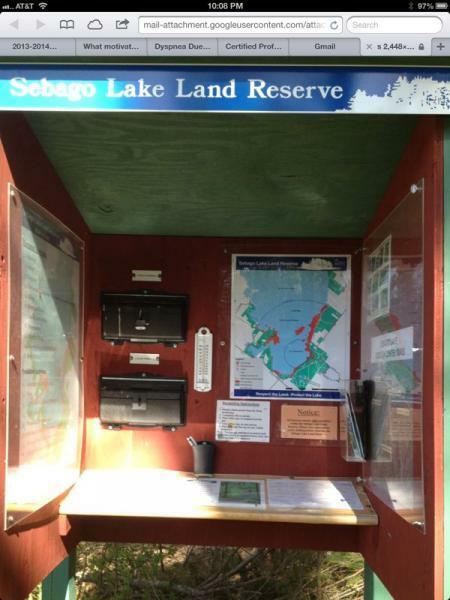 Sebago Lake Land Reserve MTB Trail 4.00 out of 5 based on 2 ratings. 2 user reviews.